Wind your way through scenic, mountain roads and transport yourself to another world. 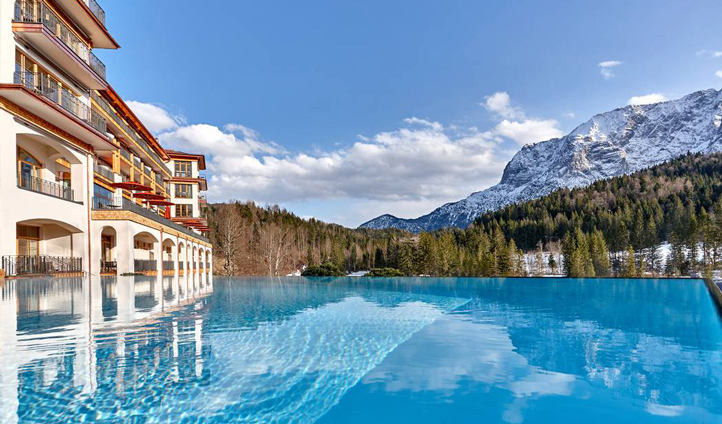 Schloss Elmau is a beautiful, family-friendly luxury spa hotel, set in the stunning Bavarian Alps outside the winter ski resort Garmisch. Surrounded by luscious green fields and spectacular snow- topped mountains, the scenery is so beautiful it almost doesn’t seem real. Inside the hotel, the décor is a mix of contemporary classic; brightly colored rugs spread over wooden floor boards and the 162 rooms are all immaculate. When it comes to food, there are ten different restaurants to choose from, all serving delicious healthy food, from Asian fusion to Alpine fondue. We love the Michelin-starred restaurant Luce d’Oro which serves beautifully-presented culinary masterpieces in an intimate and laid-back atmosphere. 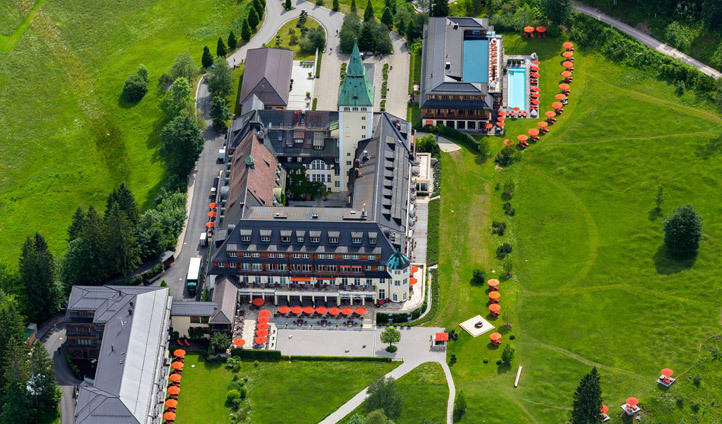 The Schloss Elmau hotel is the dream location for those looking for a vacation combining relaxation and exercise. Whether it’s hiking, biking, skiing or relaxing in one of the 4 spas, you will be sure to leave your stay feeling refreshed and rejuvenated and with wonderful memories.